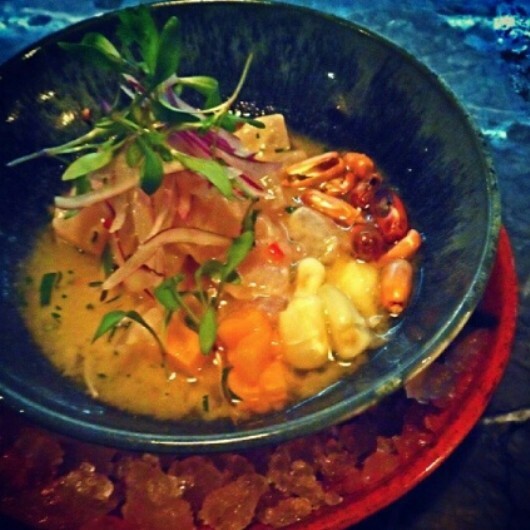 Coya restaurant is Mayfair's answer to Peruvian cuisine. I dined here a few weeks ago with a couple of friends, we'd not seen each other for a few weeks and were in dire need of a catch up and good food. I'd never heard of Coya, but one of my friends said she'd heard good things about it, so we booked our table and headed to the venue. It's situated about 100 yards from the Dorchester, but the venue number isn't clear from a car's view, so drive slowly if, like us, you're following a sat-nav. Once we'd parked, we headed to Coya, where the man on the door greets you with a smile, which is then echoed inside when you're asked for your name and directed downstairs. The restaurant is on the bottom floor, at the back, with a bar at the front. It's a chic venue with gold and copper inflections and plenty of light thanks to strategically-placed bulbs and a large and full wine rack. There's an open kitchen to the back of the dining room, so you can see exactly how your food is made. My friends and I hadn't enjoyed Peruvian food prior to Coya, but our waitress was fantastic. She explained the style of food, how it is served tapas-style and the level of spiciness and seasoning. With her guidance we chose prawns, asparagus and a fish and rice main. 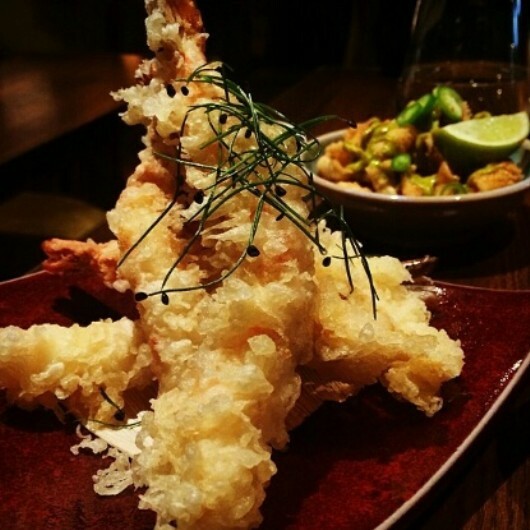 The prawns were a healthy serving of coated shellfish, and they seasoned to perfection. 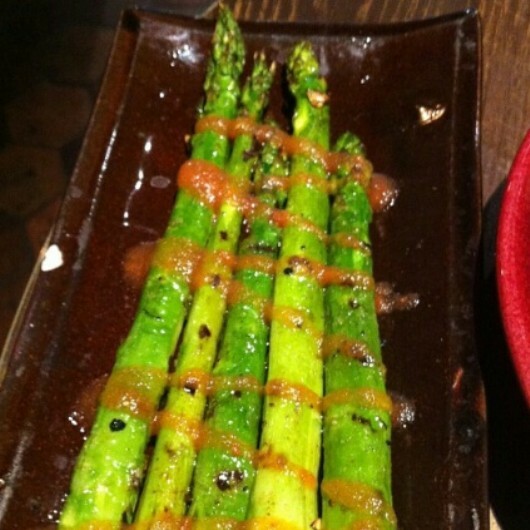 The asparagus was griddled and drizzled in a light sauce.